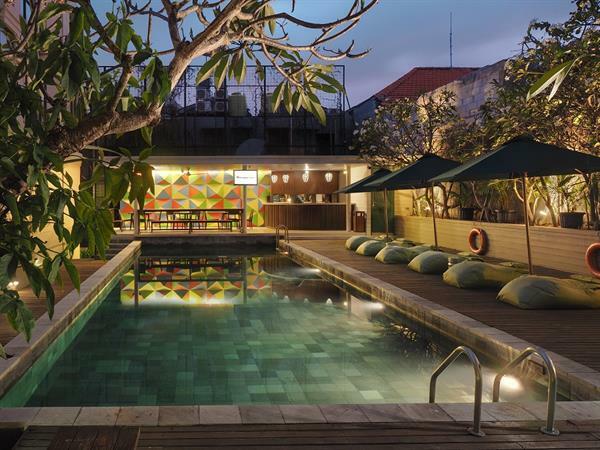 Set with flaunting outstanding architecture underpinned by Balinese character and heritage. The Palm Spa is the perfect place for your relaxing pampers yourself. We are offering something special just for you from our selection of Spa treatment with that "Traditional Balinese Touch" to rejuvenate your body and soul. Relax by dipping yourself in our swimming pool or enjoy our 24 hours in-room dining. The Business Centre provides an extensive range of secretarial services such as typing, facsimile transmission, photocopying, e-mail and broadband Internet access.